I have always been intrigued by the First World War. On second thought, perhaps ‘intrigued’ is not quite the right word. It doesn’t seem strong or descriptive enough. Mesmerized? That seems more like it. Maybe it is because the First World War seems strangely distant and foreign. You may be saying, ‘well sure, we are now a century removed from the war, so it should seem distant.’ But, wars further afield in historical memory seem more familiar, more understandable than WWI. Why is this so? 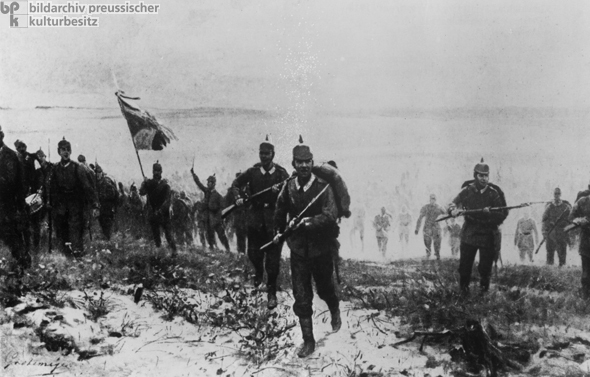 Why does World War One seem so mysteriously exotic? For me personally, I believe the distant aura of the war must be related to the conflict’s paradoxical uncanniness and absurdity. Though the most modern of industrial slaughters, the war was and is surrounded and shrouded in myths, legends and the supernatural. Myths of the strange and magical were created in the first days of the war, and they endured long after the Armistice was signed. These tales were created by the soldiers who fought, the people on the homefront, the government propagandists and the memory makers in the years following the catastrophe. Everyone seemed to have a hand it producing this aura of unreality. Some myths were straightforward nationalistic yarns. For example, in the early months of 1914, as battle causalities consistently climbed to unexpected heights, people throughout Europe desperately tried to find a meaning behind the sacrifice of sons, fathers, friends and neighbors. Many people felt the sacrifice needed to be for something larger than individual interests. If such mass death would have any meaning, it would need to be for the protection, or perhaps, perfection of the nation. The Germans in particular told tales that pushed this nationlistic agenda. So, in late 1914, no story held so much power for citizens of the Reich than the idealistic university students marching into the face of industrial battle at Langemarck. Legend had it that twenty-thousand well-educated young Germans not only bravely attacked the enemy at Langemarck, they did so singing rousing nationalistic tunes. This legend of Langemarck became proof for Germans that Teutonic spirit would always, if only eventually, defeat Anglo-French material might. Machine guns could destroy the body, but the German soul would eventually prevail. English were sure they had both history, and heaven, on theirs’. In the early months of 1914, the British public began to whisper to each other that their soldiers were protected from German machine guns not by national spirit, but by national spirits. The Brits relayed fanciful tales that their soldiers on the front were being assisted by the long dead bowman of The Battle of Agincourt. 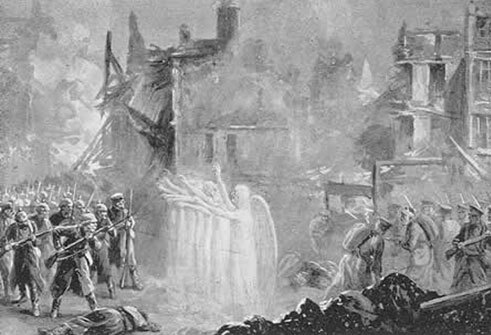 The ghostly bowman came to be known as the Angels of Mons. Obviously, their supposed existence were meant to prove that England could not help by be victorious in this struggle. After all, God was on the English side. at the front a week before the war ended. 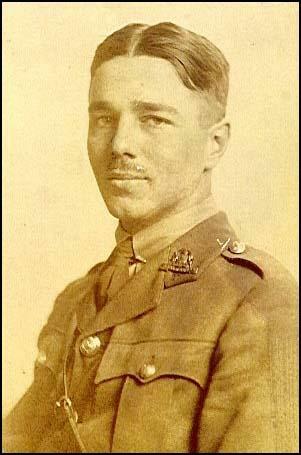 Owen’s sibling claimed Wilfred’s spirit appeared to him on a ship at sea the night Wilfred was killed in France. True or not, such stories continued, and often became more powerful, long after the war had ended. 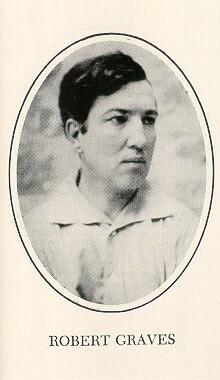 In his famous war memoir, Goodbye to All That, Robert Graves told numerous tales of ghosts and phantoms haunting the trenches and homefront. It seems likely that as the front became more psychologically destructive, such stories became more common. Now, living one hundred years on, stories of the spooky and supernatural inevitably mark The First World War. It is part of a collective memory of the war. And yet, such legends and myths seem almost unique to the industrial killing of WWI. No other war, in my opinion, has such a feeling of the uncanny or the mythic. In fact, as we drift away from 1914, the wars that scar the world seem less and less mysterious. To look for angels and spirits during World War 2 is laughably strange. To create myths and legends surrounding Vietnam, Algeria, Afghanistan, Iraq or the Balkans seems disgustingly absurd.